Down To Earth Electrical (Malvern) is a local business with an excellent reputation serving Malvern and the surrounding area and specialising in all aspects of domestic electrical services, including rewires, upgrades repairs. As Part P compliant and NICEIC approved Domestic Installer, we have the expertise to provide all of our customers with high quality services, personally tailored to their individual needs. 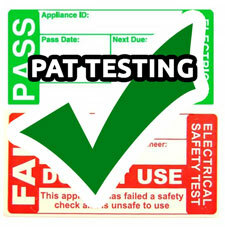 If you need an electrician you can rely on, contact us and together we can achieve outstanding results every time. Why choose Down To Earth Electrical (Malvern)? We have developed a trustworthy reputation throughout the local area for our precision and reliability. Become one of our satisfied customers and we will ensure that all our services meet the highest standards of quality.